It was love at first sight. It was a Valentine’s Day weekend a few years ago, and Norm and Joyce Bottenberg had just gotten engaged. They first met in 1983 at an American Red Cross Operational Management Training in Virginia. The Red Cross brought them together, and their activism with the organization cemented their lives. When Joyce thinks about that special weekend meeting with Norm, she fondly recollects that after the Red Cross training was over, they “exchanged mail a few times, then Norm came to Boston for a weekend [visit] in 1985.” When he got off the plane, Joyce was waiting for him with a Valentine’s Day card and a book about Seattle (Norm’s city). Norm recalled that when he got off the plane, he had a Valentine’s card and a book about Boston (Joyce’s city). Imagine their surprise and delight when they found out they had picked the same Valentine’s card to give to each other! Norm exclaimed, “It was a match made in heaven.” Soon afterwards, they were married. 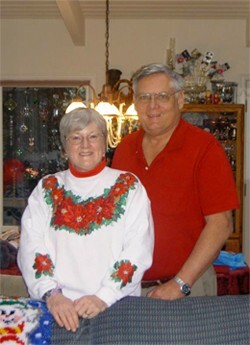 The Bottenberg’s strong marriage was matched by their dedication to the Red Cross. Norm Bottenberg received a Certificate of Merit award, when he and a Red Crosser ran several blocks to give CPR to a collapsed person in distress. The Certificate of Merit is the highest award given for using Red Cross training to help save a person’s life. It is signed by the President of the United States. 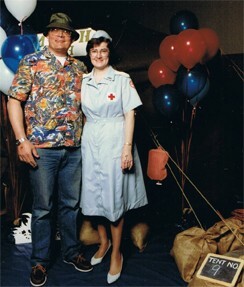 At the time he received the award, Norm was manning a Red Cross First Aid station at an American Legion parade in Seattle. Norm stated, “I like to get involved. If the Red Cross needs someone and I have the skills, I will do it.” His attitude reflects his actions. For example, when Norm was 18 years old, he organized kids to take free Red Cross swim classes at a neighbor’s pool. And later, he has taught and managed numerous Red Cross Health and Safety programs. Later on, Joyce worked with the Red Cross as a night caseworker, where she often took calls that required quick thinking. “I learned how to provide assistance over the phone, give referrals, and, in essence, become a trouble shooter for people in need,” she said. Previous Help Red Cross Sell Out the ShoWare Center!